Even though many countries are already moving past 4G LTE and currently testing 5G network, most Nigerian telecom providers are still unable to deploy 4G LTE network to all parts of the country and Airtel Nigeria is actually still stuck on 3G. Last year, Airtel signed a three-year contract with Ericsson to transform its core network in Nigeria and there were also rumours that the duo will deploy 4G LTE network before the end of last year but that never happened. 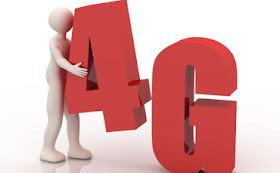 Now, even though there hasn't been any official statement from Airtel yet, some users are already reporting the presence of unstable Airtel 4G LTE network in their locations. I actually ran the check on my phone but the network isn't available in my own current location yet. You can also run the search yourself if you have a smartphone that supports 4G LTE. To search, just go to your phone's Settings Mobile networks >> Network operators and click on Search networks. This will show the full list of all the available mobile networks in your location. If the Airtel 4G LTE network is available then you will see Airtel NG 4G. I guess this is a clear indication that Airtel might officially launch its own 4G LTE network pretty soon. But if it took them this long to deploy their own 4G network, then I just wonder how long it will take before we get an Airtel 5G network in this country.